We first met Tamim Ansary many years ago through an intern who went to the same college as David and Tamim. 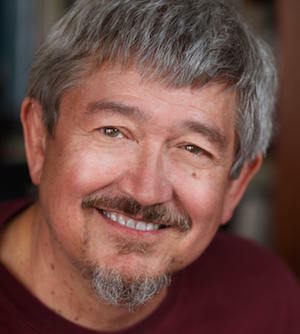 David attended the San Francisco Writers Workshop, which Tamim ran for many years, and was startled again and again by how smart, kind and wise Mr. Ansary is. Having been a professional writer for four decades and taught hundreds of writers in general, and memoirists in particular, David thought he would pick Tamim’s brain about writing, publishing and storytelling, in anticipation of his new memoir Road Trips. The Book Doctors: Tell us about your new book, what inspired it, and what were some of the joys and difficulties of writing it? TA: This book started out as an anecdote I wanted to tell my sister about a time I drove across the country in a cheap car with just enough money to cover gas. The crux was, I got caught in a blizzard. But when I started telling the tale, it turned out that it wasn’t enough to talk about the blizzard or the cheap car, I had to include why I was on that journey and what led to it. By the time I was done—hours later (my sister was patient, bless her heart)—I found myself obsessed with the idea that every journey is an odyssey if you consider it as a whole, especially if the destination is far away and difficult to reach, and you include what led to leaving and what came of having gone. So I decided to pick three iconic journeys and write each one up from start to finish in a single sitting, and that way produce a book in, you know, three nights. That was 12 years ago. I just finished. Ah well. The journeys in Road Trips all took place in the late ‘60s, early ‘70s. I was a newbie in America, then, coming of age at a remarkable moment in history. The book isn’t about history; it’s a personal story about coming of age. The ‘60s was just the context. I have to say, though, now that I’ve finished the book, it feels strangely relevant to right now. I mean, here we stand, at the threshold of the Age of Trump and it’s important, I think, to remember that there was another time so totally unlike this one. To recover that memory. TBD: As someone who has written and taught memoirs, why do you think people are so drawn to reading about other people’s pain and misery? TA: Is a memoir necessarily about pain and misery? Not sure I agree with that. Road Trips has some pain and misery in it, sure, but it also has humor, adventure, romance, pratfalls, pompous philosophical rumination–anything that might turn up in life. Because everything does. The pain and misery genre of memoir taps the impulse that makes us slow down to gawk at car accidents. And there’s a place for that. Mos’def. Memoirs like that can draw us into empathy with experiences we ourselves will never have to endure. That could be me, you think. But it can work the other way too. It can give you a glad sense of separation from experiences you’ll never have. Thank God, that’s not me. The kind of memoir that interests me is today’s version of the storytelling our species did 40,000 years ago, when we were little bands of hunter-gatherers huddled around our fires. That kind of memoir stokes our sense of human interconnection because it’s not just the people who were raised by wolves who have stories. We all have stories. In fact, we all are stories. When we hear one another’s stories, if they’re well-told, we experience the story-like quality of our own lives. TBD: Why did you decide to start your own publishing company? What are some of the challenges involved in making your own book, and then actually selling it to readers? TA: The publishing company you’re referring to is Kajakai Press, and it came out of a grant I wrote seven years ago, funded by the Christenson Fund. I proposed to help young Afghan-Americans write about their lives, because here was a generation of young people who felt they had nothing to say. They were growing up in the shadow of their parents’ catastrophe, the holocaust in Afghanistan. Their parents had incredibly dramatic experiences to recount–imprisonment, torture, bombs, abandoning all they owned, running for their lives. Their children? They felt alienated in high school. Big deal! But my premise was, they had stories too, these children. The loneliness of living in the cracks—that’s a story. Growing up in the shadow of a catastrophe and feeling like you have no story—that’s a story. So I did the project, we got some great stuff, and I set up Kajakai Press to publish their work as Snapshots: This Afghan-American Life. We sold out our print run and let the book go out of print but now, years later, I look at all the people who go through my memoir writing workshops and I feel like I want to help some of them—not all of them but some of them—get their stories to an audience. Because the writers I want to publish do have an audience. There are people out there who want to hear them. What they don’t have is a mass audience. And traditional publishers, unfortunately, can’t publish for many niche audiences—increasingly less so. Fortunately, technology has opened up new vistas with print-on-demand publishing that individual writers or small concerns like mine can access through Createspace, Nook Press, and others. Distribution is the big problem, though. People often tell me they won’t order a book from Amazon, they’ll only buy books at a bookstore because they want to side with the little guy. I heartily endorse this position. Bookstores and books by traditional publishers offer something vital to the reading public, and that system must not be allowed to perish. But individual authors and imprints like mine are even littler guys. The only way this new niche-audience publishing can survive is for alternative distribution mechanisms to form, and that’ll only happen if readers open up to these alternative systems. Ordering online is going to be part of that. So it’s a process. We have to keep exploring, we have to keep opening up alternatives channels between writers and readers. TBD: Tell us about your Memoir Pool project. TA: Last year, I decided to start a website dedicated to the art of telling real life stories. Every week (except when circumstances intrude—like this presidential election) I publish a new story, by me or by someone else. As I said, I’m interested in the stories-told-around-a-campfire kind of memoir and with Memoir Pool I hope to help develop and promote that kind of memoir. Here, the premium is not what happened but what the writer made of it and how he or she told the story. So the stories at Memoir Pool might be about anything. There’s one by Colleen McKee, for example, about her mother giving out 59-cent pads of paper when she worked at “a private insane asylum” in Missouri. There’s another by Rick Schmidt about getting a really good deal on a sandwich thirty years ago. If those don’t sound like stories to you, look them up at www.memoirpool.com. You might change your mind. TBD: What were some of your favorite books as a kid, and why? What are you reading right now? TA: As a kid I liked big 19th century European novels—Dostoevsky, Tolstoy, Turgenev. Elliot and Stendhal. I consumed Dickens and Melville. The sweep! The tapestry! Today, I mainly read suspense thrillers: Lee Childs, Michael Connelly, Harlan Coban. The quicker they move, the better I like ‘em. You see a trajectory here? I do. The thing is, these days, I have to do such a ton of reading for my next project, a history of the world called Ripple Effects, How We Came to Be So Interconnected and Why We’re Still Fighting. You wouldn’t believe how much information you have to gather when you’re trying to tell the story of everything that ever happened from the big bang to the day after tomorrow. Modern literary fiction generally attracts me less than the classics used to or than crime fiction does today, although I have been recommending The Book of Strange New Things by Michael Farber to everyone who will listen. TBD: You ran the famous San Francisco Writers Workshop for many years. What did you learn as a writer from listening to all those writers read all those words? Do you think that writers should be part of a writing group? TA: The SFWW got started in 1946 and has met every Tuesday evening since then in some public venue. It’s free and no one maintains it except whoever’s in it at a given time—it’s operated this way for 70 years and counting. If that’s not a mystical phenomenon, I don’t know what is. I ran it for 22 years, but when I stepped down someone else took the reins and it’s still going strong. The great thing about that workshop is that writers flow through. It’s not some single static collection. On any given evening, you see both familiar faces and new faces. I learned a lot about writing by opening my ears to the staggering variety of things people thought worth writing about and the many ways they thought to go about it. Honing in on how to make a piece work when it’s not something you would have written flexes writing muscles you didn’t know you had and opens you up to new directions. Plus, at this workshop, people read their work aloud to whoever’s there, and I’m telling you, when you read what you’ve written to a group strangers and acquaintances, you can feel when you’ve got ‘em, and when you don’t. Apart from any formal critique you get. You can feel it. There’s no substitute for that. So yes, I think every writer could profit from being part of a writer’s group. TBD: How is it different writing a history book than writing a book about your own history? TA: Well, in a sense, history is memoir writ large, and memoir is history writ small. We live the lives we do because we’re alive at a certain time and place within the context of a much bigger story going on. What’s different about writing history, though, is that before you can start writing, you have to gather information that you didn’t have before, and you have to steep yourself in those facts until you start to see the story that is in those facts. With memoir, research is a final phase. You start with memory. TBD: You’ve also edited many books. What has that taught you about being a writer? TA: One part of writing is getting your voice going and getting out of the way. You have to do that, but what you produce when you’re doing that, even if you’re doing it really, really well, isn’t usually suitable to show to anyone except your cat. Or your dog if you want an enthusiastic response. Once you’re done getting the draft out, however, you have to put your brain to work and get your heart out of the way. Editing is purely about this kind of brainwork. By editing lots of other people’s work, you learn how to pick words, construct sentences of any length, brevity, or complexity, make them work, make them sing, purely on the level of diction and syntax. If you’re a cabinet-maker, it’s not enough to design a great piece of furniture: you have to have good tools. Language—words, sentences, paragraphs, structure—those are your tools as a writer, and those you can hone quite apart from any particular thing you want to say. TBD: What if you’ve never done anything famous or important or sensational. Can such a person write a memoir? TA: Absolutely. To me, there are really two kinds of memoir. One kind is an adjunct to the news. You hear about something of public interest, you want to hear about it from someone closer to the scene, an eyewitness maybe, a principal, even. With that kind of memoir, what you’re really interested in is the news event. I wrote one of those myself. West of Kabul, East of New York was published in 2002, right after 9/11; it was about the bicultural aspect of my life, growing up in Afghanistan, growing old in America. The transition between them, I didn’t really talk about. “I arrived in America, twelve years passed during which I never saw another Afghan”—that’s about all I have to say about that. I skipped over those years because they weren’t pertinent to the news event. But those twelve years were a story too, and that’s the one I’ve tried to tell in Road Trips. I was a freak in Afghanistan because my mother was the first American woman there, and when I came America, the ‘60s were just getting underway, and there was this whole movement of people, millions of people, who were calling themselves freaks and dropping out of American society, and I joined them, even though I wasn’t part of American society. I did it to find “my people.” In that I was not unique. We were all declaring ourselves freaks so we wouldn’t have to feel like freaks. I had my version of a story millions of us lived through, and that’s kinda the point. The stories that matter are the ones we’ve all lived. Growing up, getting lost, soaring high, crashing, falling in love, falling out of love, getting dumped, breaking it off with someone—all that stuff. Building a home. Raising children. Growing old. How was that for you? That’s the question. Those are the stories. The things we all go through are different for each of us, that’s what makes life so fascinating. TA: My advice to writers is this. Talk about writing all you want, that’s fine. That’s what we’ve been doing here. But don’t talk about writing as a substitute for writing. If you find writing painful, if getting the words out feels like pushing a camel through the eye of a needle—remember: that’s just what writing feels like. That’s how it probably felt to Flaubert and Raymond Chandler. But the aha! moments when you break through, when you nail it, when you get said exactly what you meant to say—in my experience, those are worth the struggle. Afghan-American author and writing guru Tamim Ansary was born in Kabul, Afghanistan. He moved to America in 1964, attended Reed College in the late sixties, and later joined a countercultural newspaper collective called The Portland Scribe. Ansary wrote West of Kabul, East of New York, San Francisco’s “One City One Book” selection for 2008, and Destiny Disrupted: A History of the World through Islamic Eyes, winner of a Northern California Book Award for nonfiction. His new book Road Trips is about three tumultuous journeys that began and ended in Portland, Oregon.